Passion for Creation. Cutting edge technological solutions. Design focused on the changing needs of the client. Combination of economy and ergonomics. All of the above are reflected in our Oknoplast philosophy. Our role extends far beyond the design and manufacturing of windows. We also offer consulting, design and installation services to our clients. We believe that clients are our best sales force; therefore, we focus on their satisfaction throughout each stage of service. OKNOPLAST clients always receive an innovative offer. Our company has an R&D department that works on continuous improvement of our products and seeks new solutions. Oknoplast works with renowned European suppliers of components, constantly implementing technological innovations and new functional solutions. Unique aesthetics is the phrase most frequently used to describe OKNOPLAST's products by those who have bought them. A wide selection of profiles and fills, colours and accessories, and most importantly, the precision of manufacture give OKNOPLAST's products the aesthetic qualities that make them a true showcase for any building. 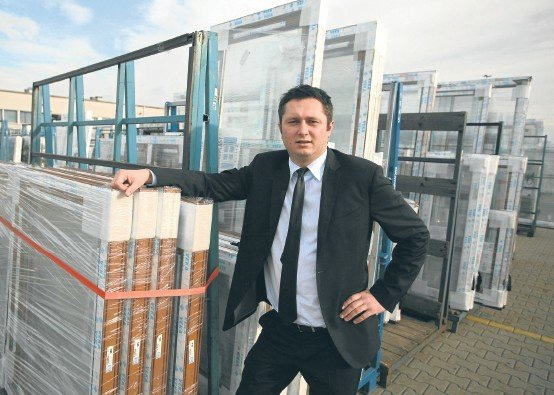 Adam Placek founds OKNOPLAST-Kraków and begins manufacturing PVC windows. Initially, the company employs 60 individuals. The first office of the company is in Kraków at Al. Pokoju 81, in the building previously occupied by Polmozbyt. After 1989, thousands of Poles wanted new windows for their homes. It was symbolic: the old, crooked windows had to go, just like the Polish People's Republic. 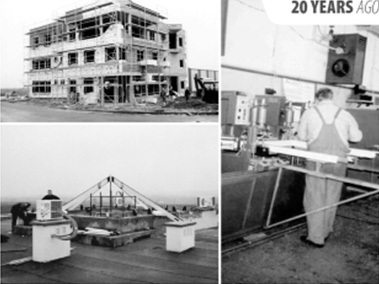 In one year, we manufactured 26 thousand windows. The company's annual turnover exceeds PLN 10 million. We are developing our sales chain - our windows are available in 20 salons. We are increasing employment by 50% to 90 people. 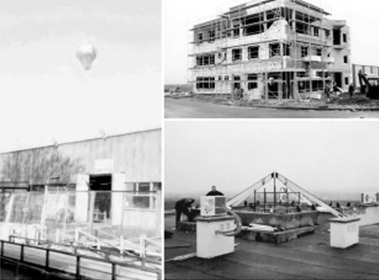 In one year, we manufactured 36 thousand windows. We are moving towards bolder marketing activities. 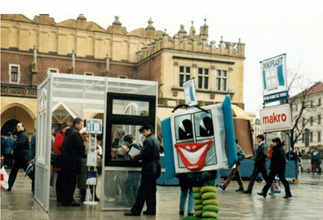 Outdoor advertisements were displayed on the Main Market Square in Kraków. We begin manufacturing aluminium joinery. Our product offer expands. The annual production volume of our company exceeds 50 thousand windows. Our windows are now manufactured in the plants at ul. Pułkownika Dąbka and ul. Nowohucka. We are the first to introduce glazing units with the U-value of 1.1. Today, such thermal transmittance value is a standard. Employment is growing. There are now 170 employees in the company. We are dynamically expanding our sales network. The company has over 50 business partners. We are the first to apply an internal solution in all of our windows that improves the sealing pressure of the sash. 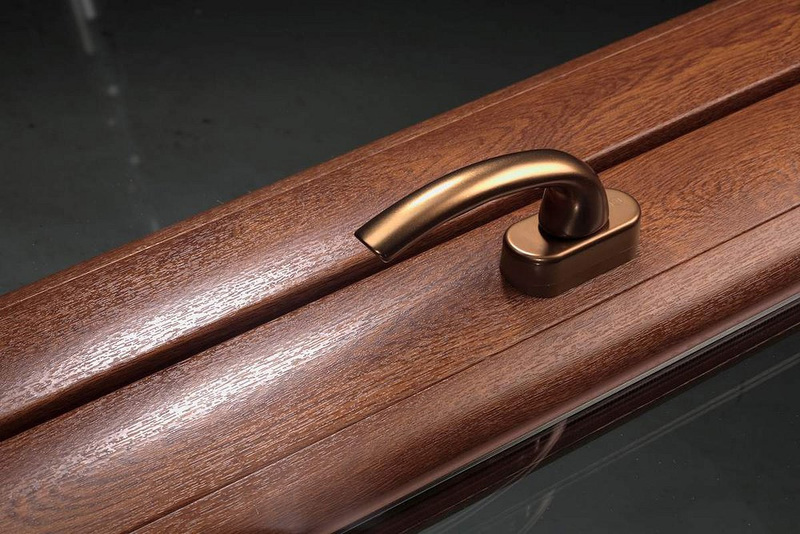 This solution improves the appearance of our windows by reducing the number of visible fittings on the frame. The colour selection is expanded. We introduce the Douglas Fir-coloured veneer. Production grows rapidly. Our manual volume is 125,000 windows, which gives us an annual revenue of ca. PLN 50 million. Yet another colour in our selection. The Golden Oak veneer would go on to capture the taste of our clients and become one of the most popular veneer colours on the market. The company moves from Kraków to Ochmanów, which offers much greater potential for growth. Our production area is 3,000 square metres! The standard versions of our windows now include silver fittings and anti-slam tilt locks that prevent the window from slamming, e.g. in a strong draft. A new item in our offer - a solution based on the 3-chamber MEDIO window profile. With the mishandling device as a standard, our windows become error-proof in handling. New offer - low-emission U = 1.1 Neutral glass panels with coatings improving the transparency of the glass. This solution increases the volume of sunlight entering the room and reduces heating costs. Our production volume grows constantly. We have now 200,000 windows under our belt. We receive our first awards! OKNOPLAST receives its first Leader of the Year award and Solid Company certificate. We introduce the AWANS system - OKNOPLAST's first proprietary solution in the 5-chamber windows segment. We are taking up the new market challenge of thermal insulation of windows. With a new corner finishing technology based on the 0.2 mm "thread", the appearance of our coloured windows improves even more. We also introduce the breakthrough Walnut colour! We start using brown EPDM seals in our windows, which provide a better match of the veneer to the window veneer colours. Poland joins the European Union, and we launch dynamic sales on foreign markets (Central and Eastern Europe). Our offer now includes very low WIN-STEP balcony thresholds that make it easier to go out onto the balcony or terrace and back inside. Our company is the first in Europe to offer glass panels with [thermal transmittance] U = 1.0. Our windows now feature an even better thermal performance and lower heat loss, and our clients save money on heating bills. We launch sales on the German market. Our first outlet is located in Iggingen near Stuttgart. With the new veneer colour Amarena, our windows look even better. With the new Maco Multi-Matic fittings with intelligent security cam, the durability, functionality and appearance of our windows is further improved. 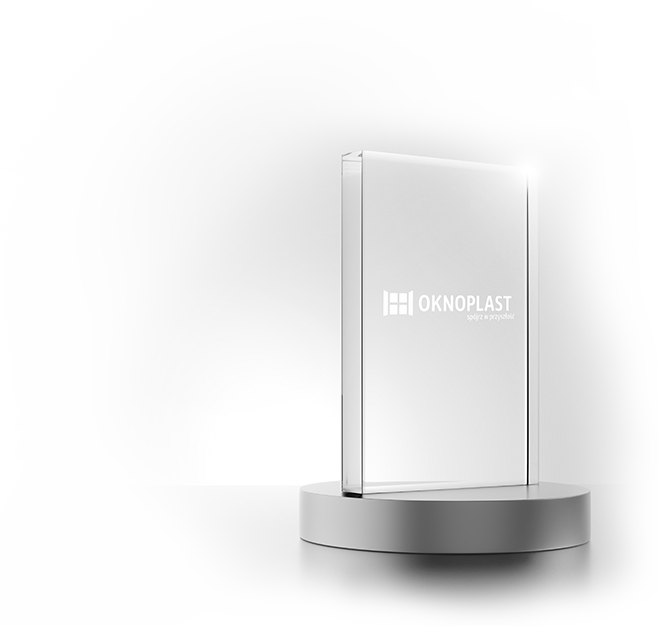 OKNOPLAST confirms the top quality of its products by becoming the first Polish company to obtain the prestigious Q-Zert Quality Certificate. New product in our offer - Platinium windows, the first in Europe with a rounded frame on the inside. The new window is a nod to clients who value elegance and state-of-the-art solutions. 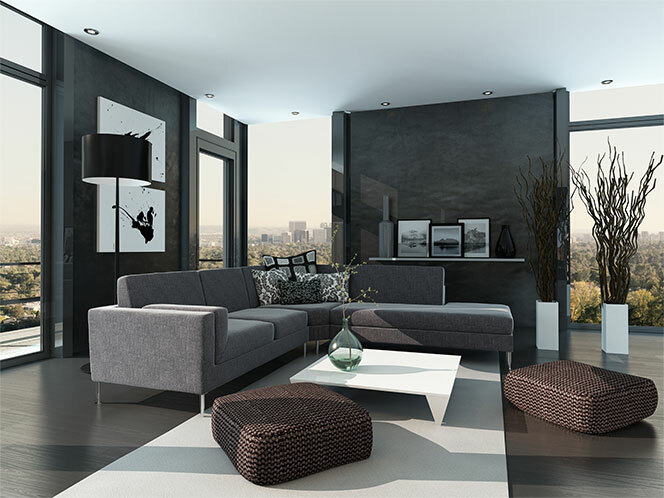 We introduce MACO Invisso invisible hinges to our windows. This solution improves the visual quality of the windows, while maintaining the tilt & turn functionality. We are the first Polish company to launch sales of windows in Italy. The world capital of design is not easy territory, but after three years, it turned out that OKNOPLAST is the third most recognisable Polish brand in Italy, after John Paul II and Lech Wałęsa. New product in our offer - window mullions with two height options that open up new interior arrangement possibilities, particularly in historic buildings and mansions. 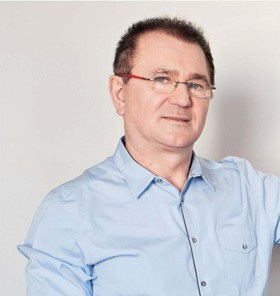 Mikołaj Placek steps up as the new Chairman. At that time, the company employs 500 people and has an annual revenue of PLN 200 million. Our windows are the first in Poland to obtain the anti-burglary certificate WK2. We launch the manufacture of PVC and aluminium roller shutters. We begin sponsoring the MKS Puszcza Niepołomice football team. Our company enters the French market. We build new production halls to increase the scale of our business and prepare ourselves for expansion onto new markets. 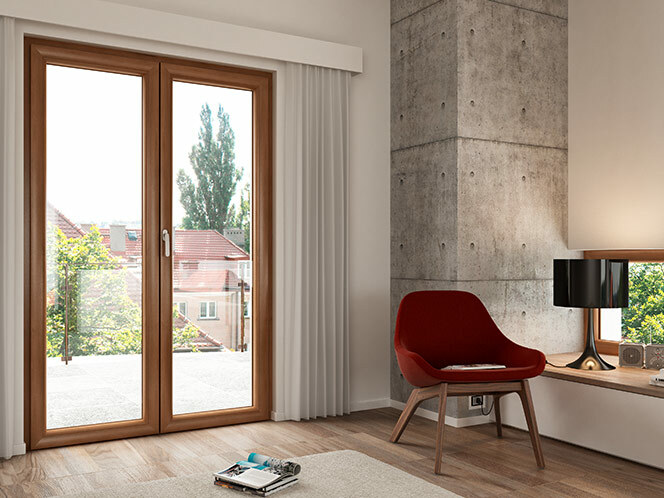 The premiere of Platinium Evolution - the first energy-saving window on the market, developed on the basis of the tried-and-tested Platinium model. At the end of the year, the company has PLN 320 million in revenue, of which 50% comes from exports. We refresh our logo and introduce new marketing communications. This includes an official company profile on Facebook. 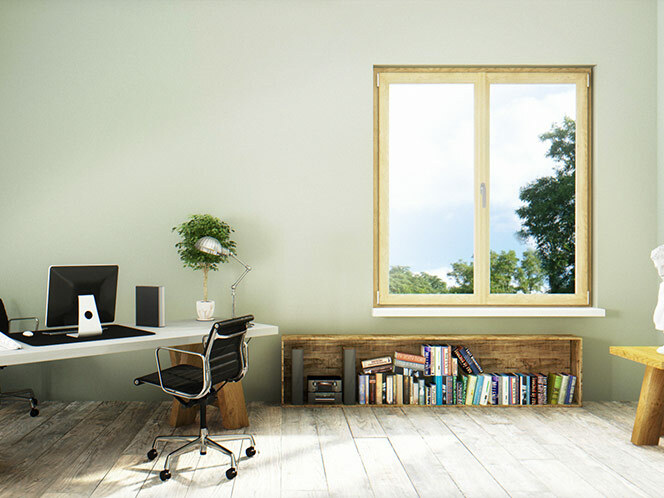 We launch the ColorFull windows, which in terms of visual quality are identical to wooden windows. Our own sealed glazing units. We launch the manufacturing of our own sealed glazing units to be installed in our windows. OKNOPLAST becomes one of Inter Milan’s sponsors. New products for passive buildings - Winergetic Premium Passive with SpaceBlock technology. The quality of our windows is confirmed by the renowned IFT Rosenheim institute. We introduce Warmatec, a warm glass panel spacer which further reduces the thermal bridge effect. Another advantage of the spacer is its appearance, matching the colour of the windows and seals. OKNOPLAST signs sponsorship deals with more football clubs: Borussia Dortmund and Olympique Lyon. After 20 years in business, our company has 1,800 sales outlets and is the largest exporter of windows in Europe. We join the "Cancer. It's curable!" campaign to help battle the illness. Mishandling device as a standard. Prolux windows are launched on the market. With a 22% larger glass panel area, the windows provide more light and improve the well-being of users! During the "Space Fans" conference, we conduct the world's first window strength test using… an airplane. A dedicated Prolux windows website is launched. The centre in Odporyszów near Tarnów is a modern foster home and the 10th facility managed by the NGO SIEMACHA. OKNOPLAST's products are manufactured in compliance with environmental protection guidelines.